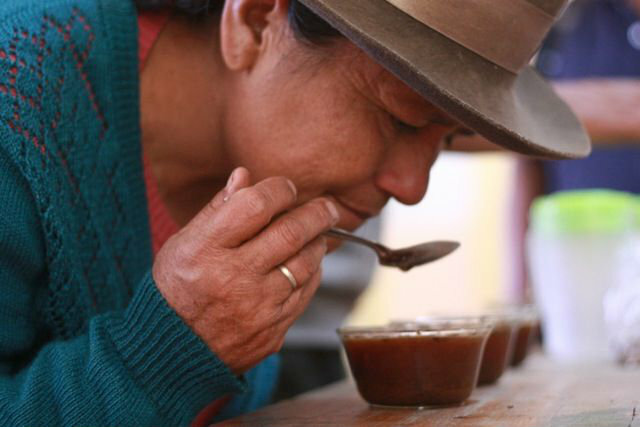 Our latest offering from Peru comes to us from the Cenfrocafe Coop, one of the leading collections of innovators in that coffee-growing region today. 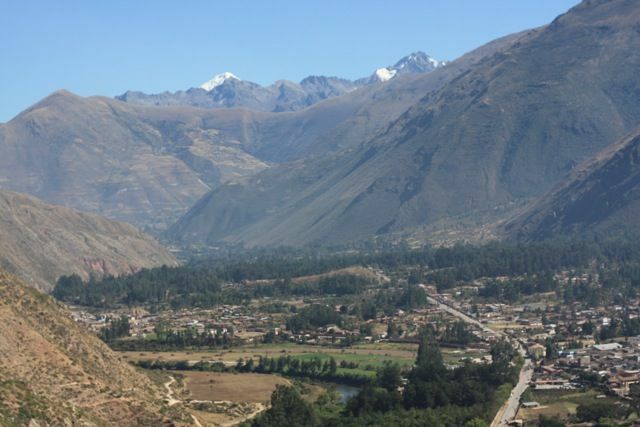 As one of the strongest coops in Peru, the collective represents more than 1,900 families in 84 partner networks in 100 bases of the provinces of Jaén, San Ignacio and Bagua. These areas have actually been frontier regions in the last 40 years. 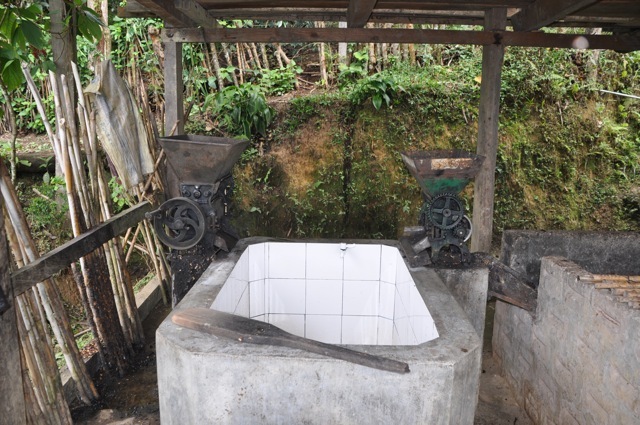 Because many of the farmers in the area had been growing food and rice, coffee production represented new territory, and this has left much room for innovation. All of this fits within the larger values of the coop as this collective of families pursues a holistic approach; Tying together methods aimed at economic, social, environmental and institutional improvement. 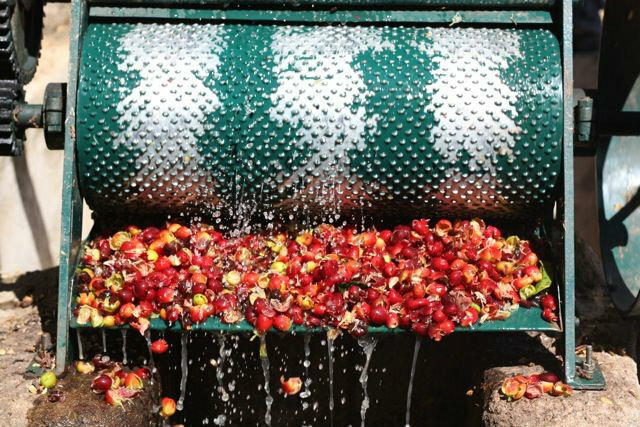 These values and innovations have stimulated a mutually beneficial cycle for coffee growers and importers as incentives for higher quality stimulate greater innovations, better results for the farmers and their families, and finally, great coffees for you! The Cenfrocafe Coop has no shortage of skilled farmers who cup their coffees with a keen eye for quality. Their ability to select and blend together the best offerings is unsurpassed in the region. This particular lot is no exception, and perhaps even represents some of their best output that we have tried. We taste a clean cup with floral and citrus overtones, featured nicely within a nutty almond-and-caramel sweetness. Look for hints of stone fruit as well. We’re excited to bring you this coffee and to bring both you and our company as a whole into connection with this great group of innovators from Cenfrocafe. This coffee will be featured regularly on batch brew in all of our shops beginning later this week, and will be available for retail purchase Look for it to be featured in Cold Brew this summer. Enjoy! Farm: Many small-holding farmers in the Cenfrocafe Coop.